Karina's Kreations: Stampin'Up Eastern Palace! I am loving this new Eastern Palace bundle!!! Check out pinterest to see all the amazing cards using this set. I made a card featuring the gorgeous stickers. 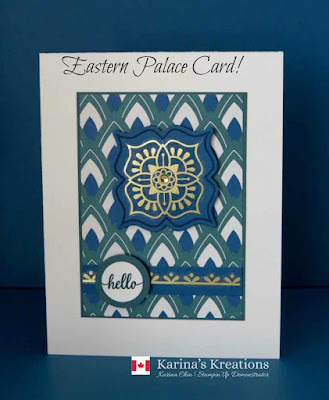 My card uses the new Eastern Beauty Stamp set, Eastern Medallion Framelit and Gold Vinyl stickers. 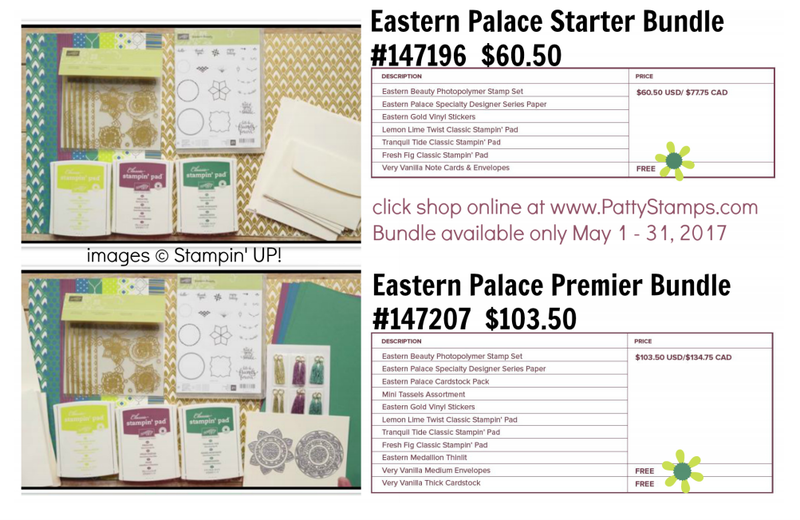 I am also offering a free class with the purchase of the bundle.